When Have You Gotten Mad At A Video Game For Wasting Your Time? Have you ever been so pissed off at a video game for wasting your time that you turned off the TV? Threw your controller? Snapped all your disks in half? Here’s a quick anecdote: Last night, after a grueling final week of writing and editing, I finished the first draft of my first book. (More news on that to come soon.) Relieved and exhausted, I got in bed and started playing the Dragon Quest VIII remake on 3DS—the first video game I’ve really had time to play in months. I’ve always had a love-hate relationship with Dragon Quest games. I enjoy almost everything about them—the atmosphere, the humor, the combat—but I’m always frustrated by the sluggish pace and the series’ insistence upon sticking with obsolete features like level-grinding. 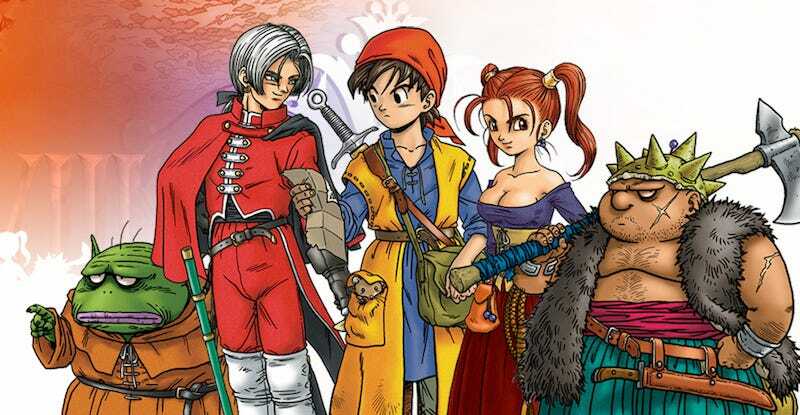 From what I remembered, though, Dragon Quest VIII was always the best of the bunch. So I expected it to be a nice, relaxing experience. Which is why I nearly broke my 3DS when my main character died to an unlucky critical hit as I was on the third floor of the first dungeon, forcing me to trek all the way back to town because, inexplicably, Dragon Quest VIII doesn’t give you any way to revive dead party members until later in the game. Instead I just turned it off and played Threes. That’s a relatively tame story, though, and it pales in comparison to all the times when my PS1 memory cards would fail and gobble up all my save files. So I want to hear your stories. Has a game ever really wasted your time? Pissed you off to the point where you couldn’t bring yourself to play it again? Share your stories below. If there are enough good ones, I may just round them up for another article.